Lee Hollahan – Nice dress! Thanks, I made it!! I have bought myself a wonderful after-Christmas present. I love reading books on the bus during my long commute to and from work. (If you can’t do it, ya might as well be reading about it!). The table of contents looks loaded with “how to’s! 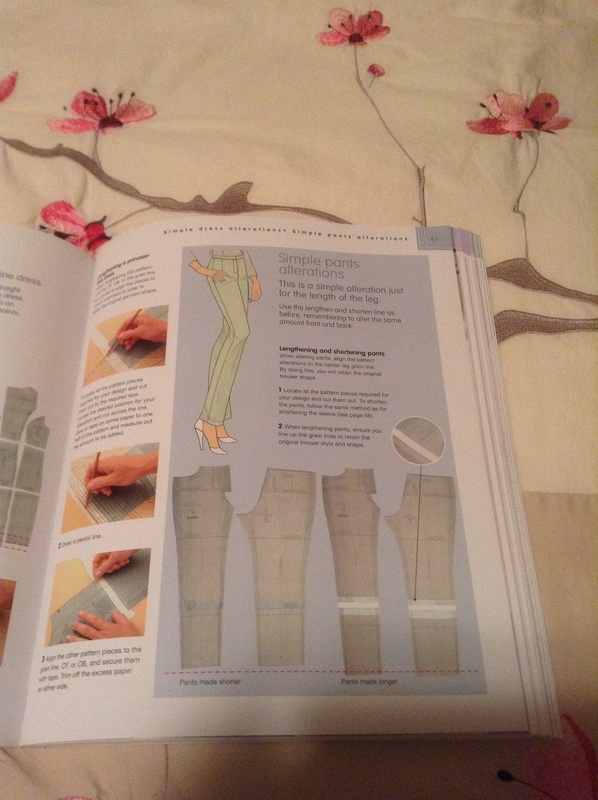 One of the first chapters is on commercial patterns – how to measure yourself properly, pick a flattering pattern, pick the right size & fabric, layout your pattern properly, etc. The next chapter covers alterations of the pattern for a better fit – something I need practice with – working with a bodice, sleeve, skirt, dress, and pant patterns. The next chapter is about making muslins and advanced alterations for design and/or a perfect fit – something I have not done before. Want to change your pattern to make a bodice without side seams? Want to make a puffed sleeve head instead of the usual? What about putting a yoke in that flared skirt? I haven’t even gotten into all the dress, skirt and top variations yet! The book comes with pattern blocks – pardon me? – Yes, pattern blocks – US size 6 to 18 included! Oh yes, and a chapter on core sewing techniques, such as zippers, pleats, sleeves, etc., just in case! Ok, so some of this is just a refresher for me… but most of it isn’t! I am very happy with my purchase and Ms. Hollahan is not paying or asking me to say that neither, it’s just my opinion. 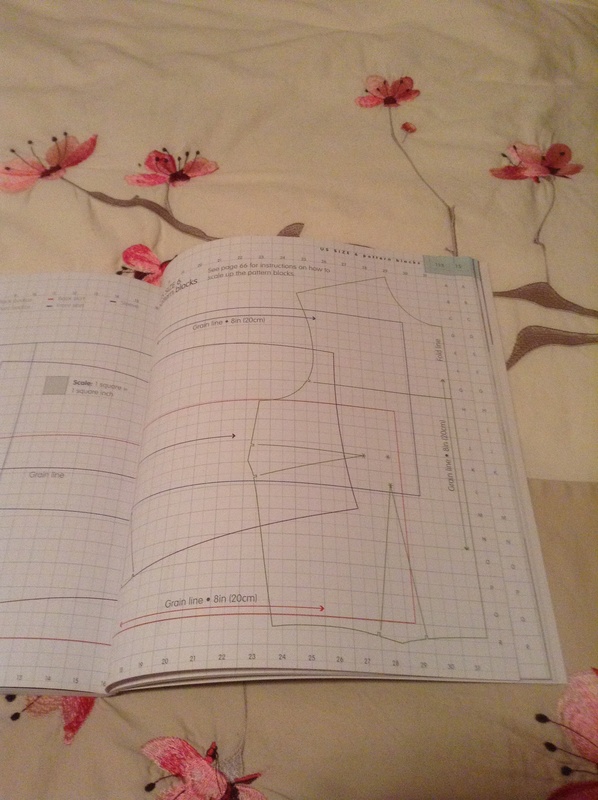 ONE BAD – I do wish that the book came with spiral binding though so it would lie flat! Although I think by the time I’m half way through it all the pages will have fallen out anyway and I can rebind it with a spiral coil! One book I saw suggested altering patterns with the “pivot and slide” method vs. this book suggesting “folding and/or cutting and taping” your pattern to adjust where needed. 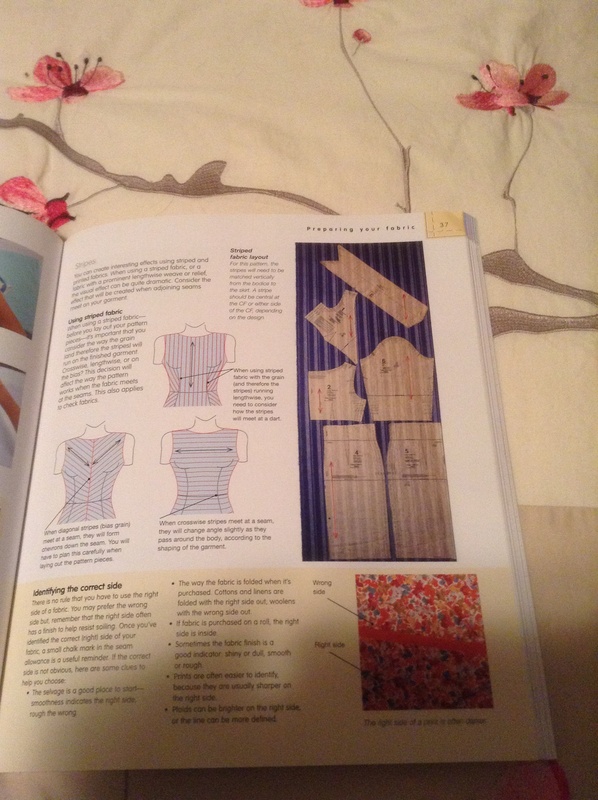 Also one book suggested I measure across my chest above my bust, look at a chart, and that is the size of pattern I should always get – bust, waist and hips, etc. would have to be adjusted as needed on that pattern. 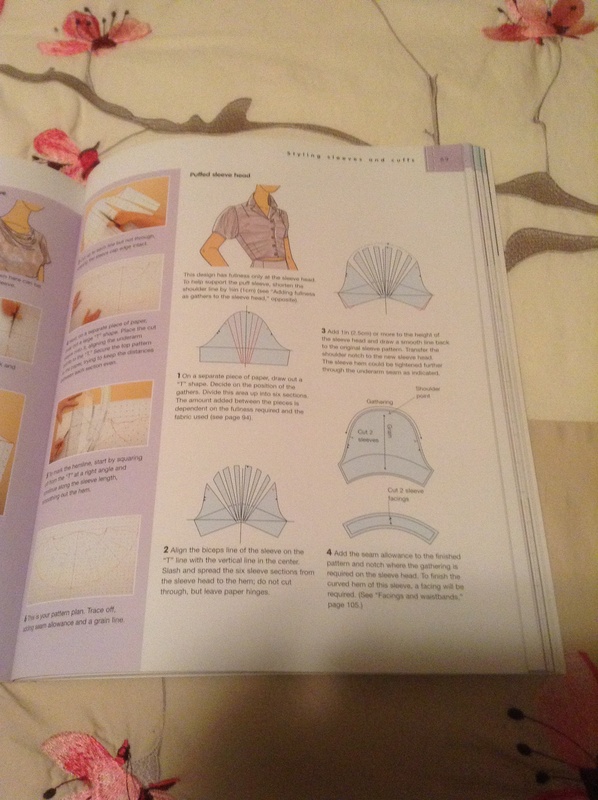 But this book suggests that I go with my bust measurement if I am making a top and hip measurement if I am making a bottom then adjust the rest, if needed. I have never heard of the first method before! Of these, which methods are most popular out there? Pivot and slide OR fold and/or cut and tape? And how do YOU choose what size pattern to buy? 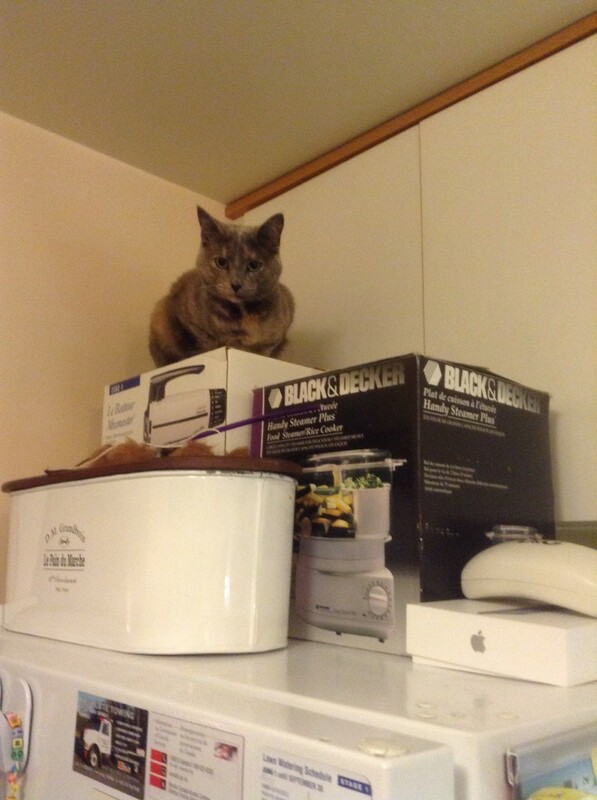 PS… Sophie has decided to spend the afternoon on the fridge today and stay out of my sewing!